In games deal making there’s Tencent, then there’s everyone else. 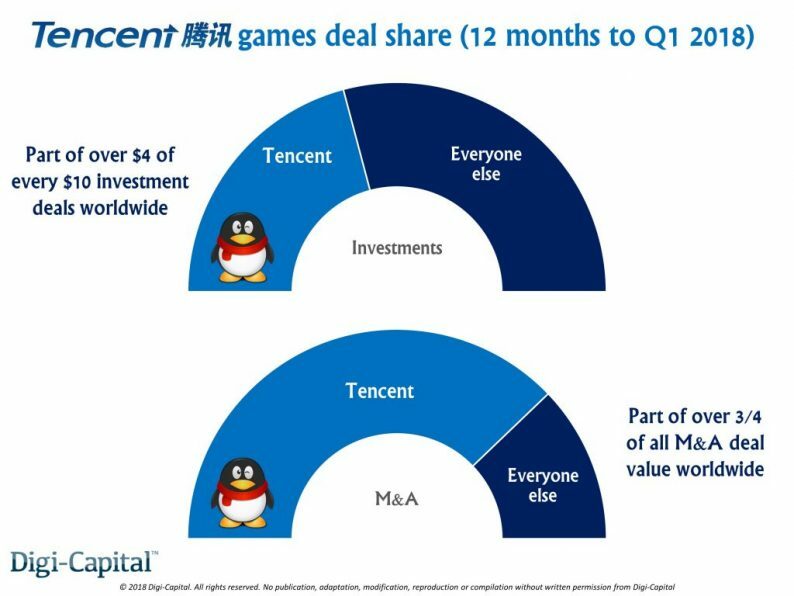 Tencent led or participated in over $4 of every $10 invested in games companies worldwide in the 12 months to Q1 2018. It was involved either sell-side or buy-side in over three-quarters of all games M&A deal value (i.e. dollars) in the same period. And this is in the context of record totals (not just Tencent) over $2.1 billion games investment and over $14.4 billion games M&A in the first quarter of this year alone. 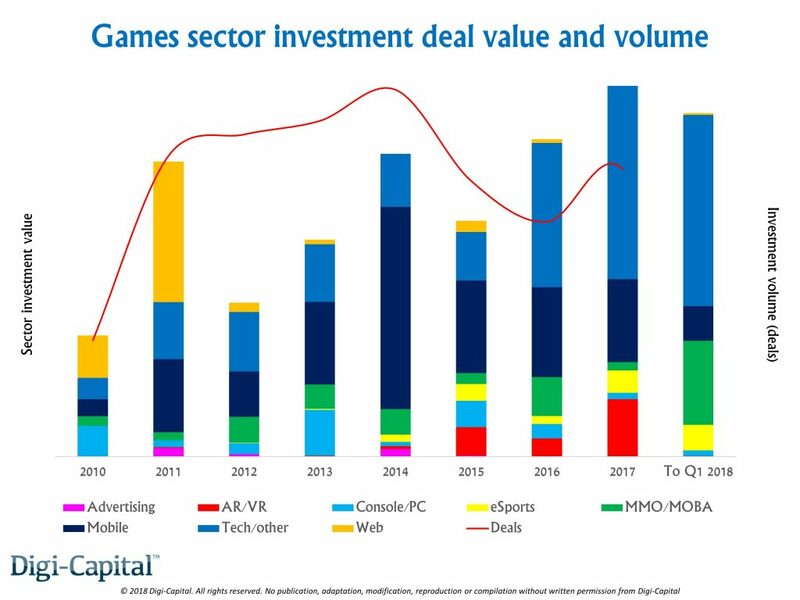 Digi-Capital’s new Games Report and Deals Database Q2 2018 tracked a total of nearly $22 billion total games market investments and M&As (again not just Tencent) in the last 12 months, as well as forecasting global games software/hardware market revenue to top $165 billion this year and over $230 billion by 2022. Let’s dive into the detail to see what’s behind the numbers. Games investment in the last 12 months broke all previous records, with over $4.2 billion dollars invested in games market companies. As has become the new normal in the last few years, most of this money went into games tech and platform companies rather than game developers. In contrast to mobile games’ investment dominance of the last 5 years, the first quarter saw MMO/MOBA games investment, as well as AR/VR and eSports over the last 12 months.